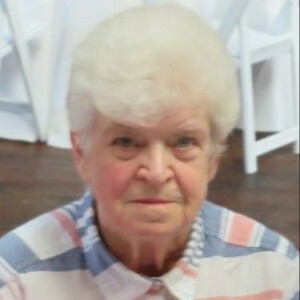 September 9, 2018 Kennett Square, PA "Toots"
Cynthia “Toots” Hindman, age 70 of Kennett Square, PA, passed away Sunday, September 9, 2018 at Chester County Hospital. She was the daughter of the late Helen Holmes and the late Edward Buckalew . Her husband was the late James Hindman, Sr.
Born in 1948 in Wilmington, DE, she graduated from Avon Grove High School. She was formerly employed at Kennett Square Specialties, where she worked for 26 years. She enjoyed crocheting, traveling and cooking — especially Cobbler pies! She loved spending time with her family and friends every chance she could get. Cindy is survived by her two sons, Michael and his wife, and James Jr.; her daughter, Susan Owen and her husband; as well as 9 grandchildren, Michael, Kenny, McKenzie, Alicia, Hailey, Westley, Nathen, Johnny and Samantha. Cindy is also survived by 5 sisters, Linda Harriman, Barbara Miller, Tina Malm, Susan Wilson and Terri Kraft; as well as one brother, Wayne Wright. You are invited to help celebrate Cynthia’s life with her family and friends from 1:00PM to 5:00PM on Saturday, October 27, 2018 at Redmans Hall, 114 Brick Road, Oxford, PA 19363. Please share with us your fond memories of Cynthia. Hoping that the love you shared will sustain you. Hoping the good memories comfort you. Praying that her spirit will guide you during this difficult time. Wishing I had words that could console you but knowing I don’t. Know you are loved and thought about. And I’m praying for you. Sorry about your loss nephews Mike and Jimmy.